It's impossible to eat just one. They're soft and crispy, buttery and salty, loaded with white chocolate, semi sweet chocolate and macadamia bits. Pure heaven. You must make these for your kids and your family. Heck, make them for yourself. They are the tastiest cookie you will ever eat. 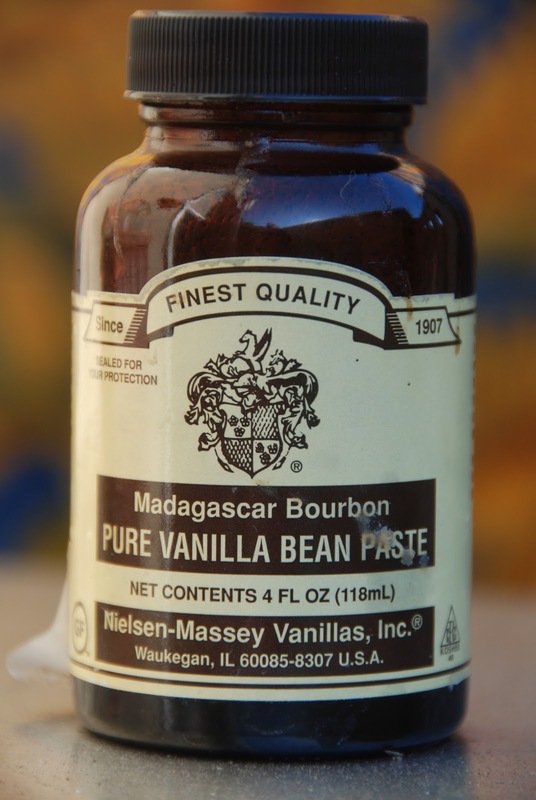 *This is the best vanilla bean paste (see photo below.) It gives baked goods a much richer flavor because it's got all the vanilla bean specks in it. You can find it in gourmet foods stores or shops like Williams Sonoma or Sur la Table. It's $10.95 for the jar. Note: you can use all white or all chocolate chips, too. We decided to mix it up. Here's another tip: Make the entire batch and immediately stick half in a Tupperware container in the freezer. This is good for two reasons. One, you have some for later. And two.....you have some for later. Okay, I guess there is really only one reason to put something in the freezer. Enjoy, my cookie loving friends.